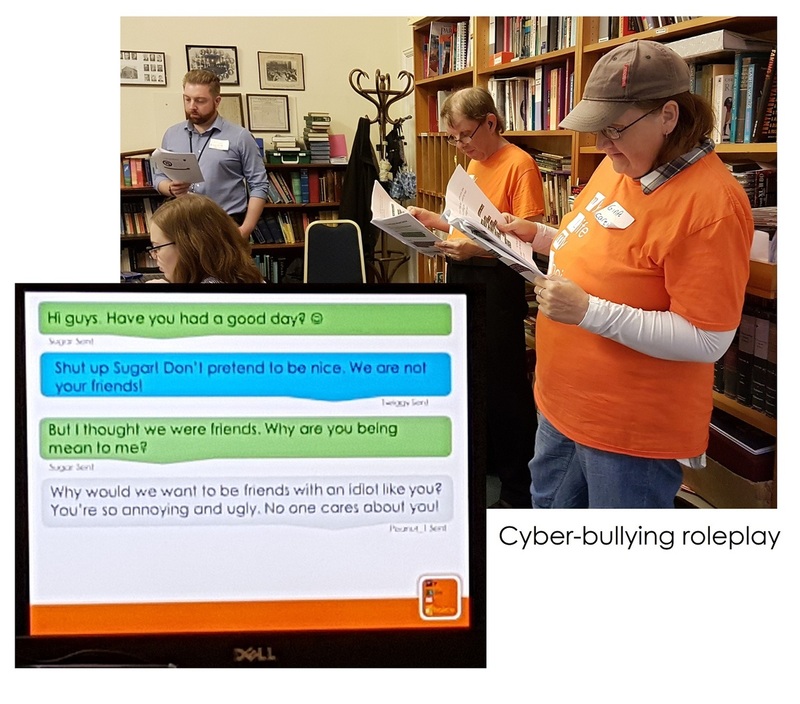 Yesterday the Oxford self-advocacy group learnt all about being safe on the internet. This is because our Power Up trainers have joined forces with Thames Valley Police to deliver internet safety training to all of our groups. We started off by taking about what we all use the internet for, such as Facebook, Google maps, shopping, watching videos, and listening to music. The team reminded us that the internet can be a good thing. It helps us to do things like talk to our friends, find information about things, manage our money, keep up to date with news, and play games. But bad things can also happen on the internet – like bullying, fraud, hacking, grooming, or getting a virus on your computer – so it is important to know how to keep safe. After talking to us about online privacy, cyber-bullying, sexting, online grooming, sharing indecent images, and scamming and fraud, the Power Up team left us with some top tips for staying safe online. Never give out your personal or bank details to somebody you don’t know. Only use legitimate websites that you can trust. Don’t accept friend requests from people that you don’t know. Don’t trust everything you see or read on the internet. Change your privacy settings on social media sites so only people you know can see your posts. Keep your passwords to yourself. Don’t use the same password for everything. Think about what you post before you post it. Do you want everyone to see? If you are being bullied or asked to do things by somebody on the internet – tell somebody.